Our product range includes a wide range of solar ups and hybrid ups. Solar UPS is a great leap towards affordable green energy. 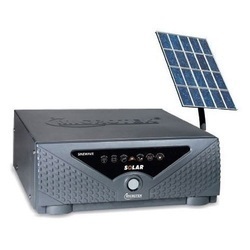 This ups allows you to use solar power in your daily life in a very user friendly manner. It lowers your electricity consumption and therefore financially rewarding too.We offer these products in different technical specifications and are used to maintain the consistent flow of power in the electrical appliances. Our entire product range is precisely engineered and is easy to install. Moreover, we offer them at most affordable rates. 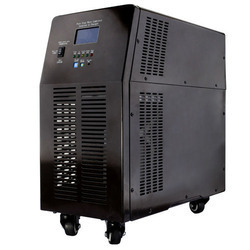 Our company is among the most sought after offering Hybrid UPS to the clients. This product is widely demanded in industrial or corporative places for maintaining continuous power supply on random power cuts. Offered range is manufacturer, supplier and trader of Online UPS. Offered range is ideally used as the powerful interface between the electric network and the appliances to provide outstanding power backups.